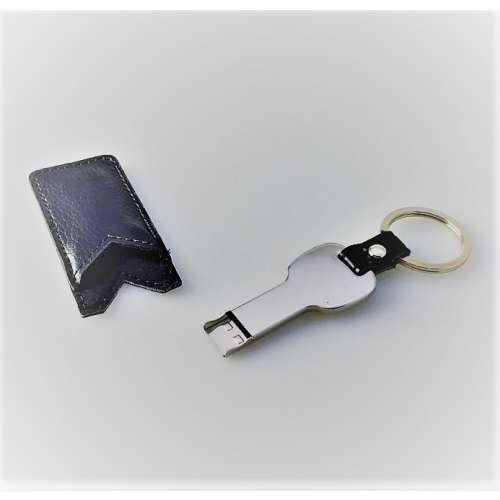 We're taking promotional key-shaped USBs to the next level with our exciting new Branded USB Key With Leather Pouch. 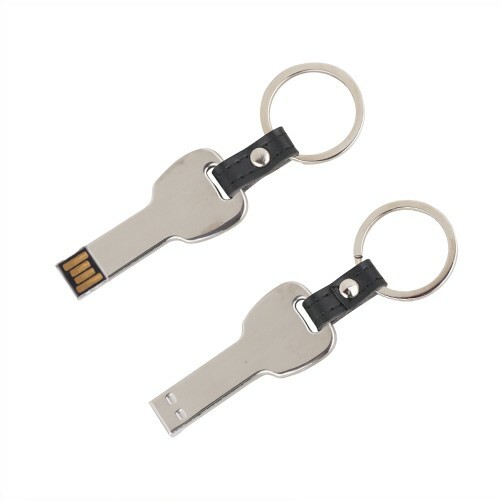 These unique flash drives feature our popular metal USB key style flashdrive combined with a handy protective leather pouch. 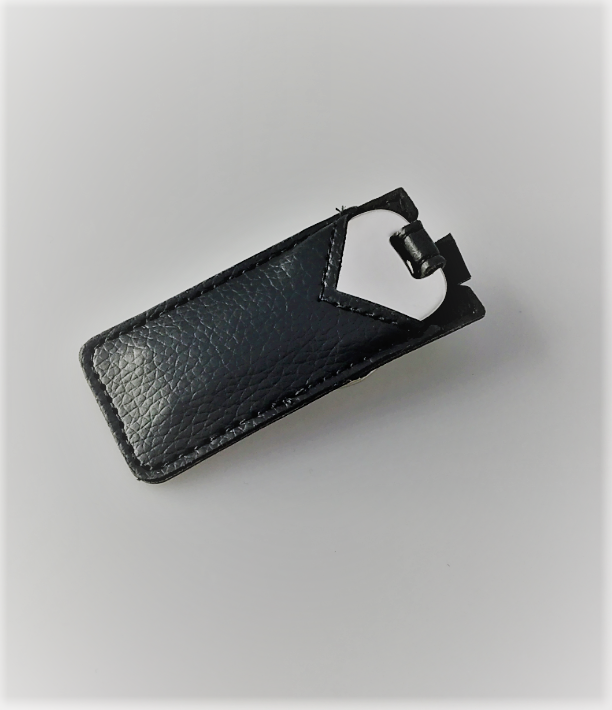 Not only does the pouch help shield your USB key from everyday wear and tear, but we also make them from long-lasting leather which adds a premium feel to the entire product. 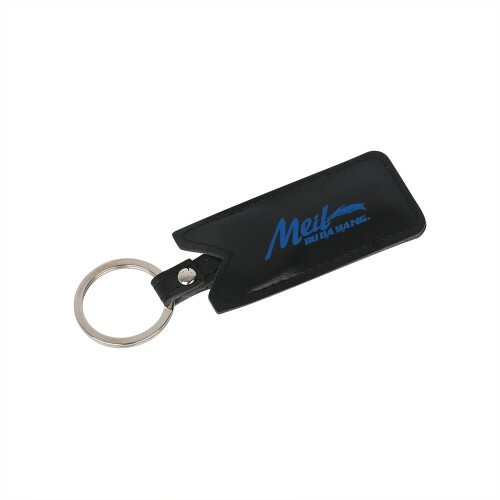 We decorate these units with your logo design so that they become the perfect marketing item for business expos, product launches or promotional events. 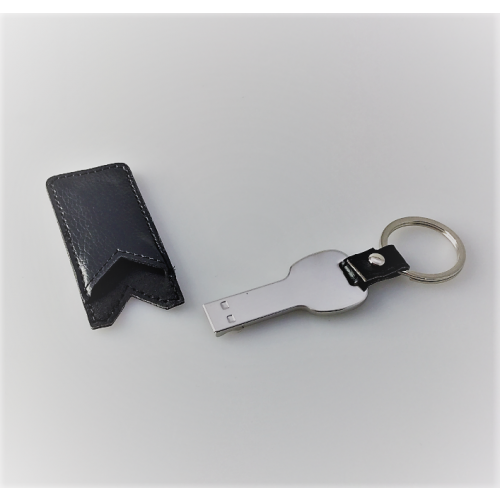 Stylish and functional, our USB Keys With Leather Pouches come alive once we brand them with your design. Pricing provided will include 1 position laser engraving on the key unit. For an additional charge pad printing onto the pouch is also possible. If you're unsure about how you'd like your logo branded simply contact our sales team and they'll advise you of the best option. The minimum order quantity for these USBsis 50 units. 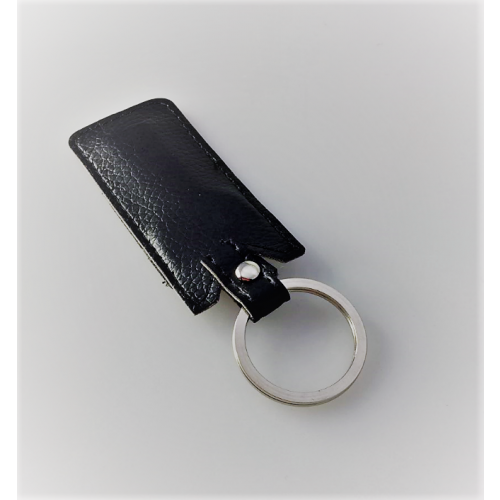 We produce branded USB keys with leather pouches to order in our factory and provide a speedy turnaround time of two weeks from artwork approval and invoice payment. 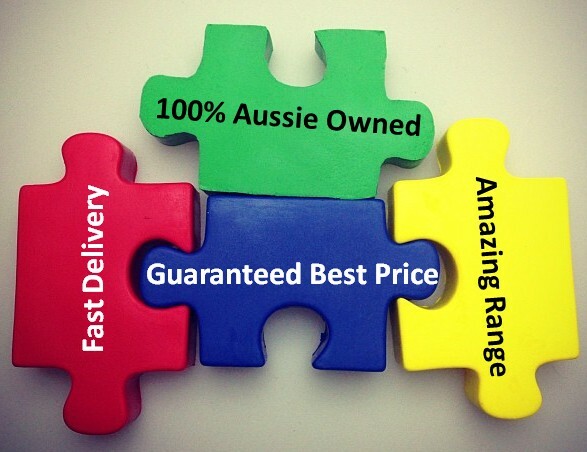 USB Planet delivers high-speed flash memory to anywhere in Australia including regional locations as well as major cities such as Sydney, Melbourne, Brisbane, Adelaide, Canberra, Perth, Darwin and Hobart. If you need a USB fast and can't wait two weeks, check out our express 3 day service USB options!